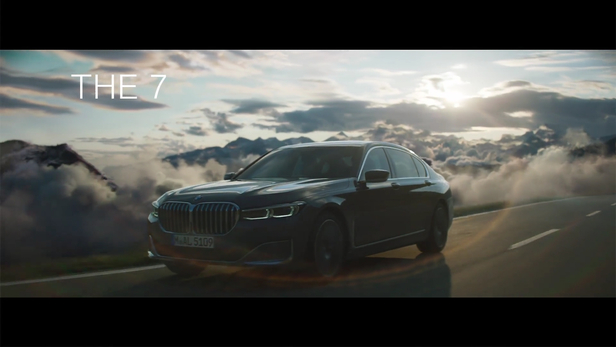 Contending with airports from around Europe, LS Productions identified a location in the north of England that kept the new BMW 7 series under wraps for the new spot for Serviceplan and TP Films until launch. GoSee member LS PRODUCTION was on set as service production company for the new BMW commercial 'Above The Clouds': 'To relaunch the iconic BMW 7 Series model, a two-minute spot created by Serviceplan and shot by Tony Petersen Film, required the expert knowledge of production service company LS Productions to pull off the logistically complex airport runway shoot without a single person seeing the new vehicle. Contending with airports from around Europe, LS Productions sourced an exceptional location in the north of England with both the right aesthetic and the practical needs for the highly secretive shoot. The newly built airport location, yet to be opened to the public, meant that the crew of 130 could conduct the three-day shoot with a greater amount of control than any other airport. Working closely with TP Films’ security team and forging strong relationships with airport staff and local authorities ensured that passers-by and press could not view the prototype car while the shoot was underway. Brooding, atmospheric weather conditions were key to the film’s storyline. The film, directed by Dan Di Felice, likens the feeling of driving the BMW 7 Series to taking off in a private jet. To create the conditions of starting in a storm, LS Productions worked in collaboration with an SFX team at Artem and local firefighters. They created a cloud of smoke and lashing rain as the car zipped down the runway. Brand: BMW, Agency: Serviceplan, Production Company: TP Films, Director: Dan Di Felice, DOP: Steve Annis, Executive Producer: Carlo Walther, Service Production Company: LS Productions, Service Producer: Deva Smith.